Volunteering can be one of the most rewarding acts you do with your time. By participating in a community service project, you can make a difference, help others, and give yourself a feel good boost knowing you’re perhaps making someone’s life a little bit better. Volunteering is so rewarding, in fact, that many people even plan vacations around a service project—a trend known as voluntourism. The Westside Food Bank delivers provisions to various social service agencies in the area. These donations usually go to families with children, the elderly, and those just trying to make ends meet. Based in a local warehouse, this incredible organization is always looking for non-perishable food donations as well as diapers. The food bank hosts occasional food sorting events and offers the option to help out in their office. But by far, one of the coolest things about the Westside Food Bank is their virtual food drive. All you have to do is go online, add items to your cart and then check out. Your groceries go right to the food bank. How easy is that? Visit the Westside Food Bank site to learn more about how to get involved. Upward Bound House provides vital resources to homeless people in the community, including shelter and supportive services to help build stability. There are a number of volunteer opportunities at Upward Bound House, such as Kids’ Nights where you can aid in activities ranging from yoga to arts and crafts to games. If you want to share your professional experience you can teach in one of Upward Bound House’s many Life Skills Workshops. All you need to do is fill out a volunteer application, and you’re on your way to making someone’s day. The Santa Monica Police Activities League (PAL) promotes a relationship built on trust between local kids and police officers. This after-school program for school children ages 6-17 offers activities that are educational, fitness-based, and cultural. The Santa Monica Police Activities League is always looking for homework assistants, as well as volunteers for special events (Halloween carnival, anyone?) and field trips. To get involved, contact the PAL Youth Office at (310) 458-8988 or e-mail pal@smgov.net. Like baking? Like helping people? If the answer to both is yes, now you can combine these interests by volunteering with For Goodness Cakes. This delicious program is all about making birthday wishes come true with volunteer chefs baking the cakes of kids’ dreams. Don’t worry: Even if your cake making isn’t Duff Goldman-level or you’re too busy to get in the kitchen, you can still get involved by delivering the treats to the birthday kids. Before you can get started, all you need to do is a 35-minute online orientation. Ready to join the Sprinkle Squad? Visit the For Goodness Cakes volunteer page for more information. 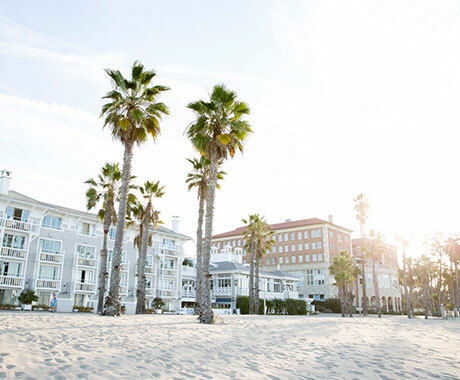 Explore even more volunteer opportunities in Santa Monica by checking out EventBrite, which lists a variety of opportunities around the area. From animal rescues to preserving the environment to food distribution, you’re sure to find something that fits your interests. Usually, these opportunities are for one-day events, so if you’re just visiting the area for a short while, it could be the perfect opportunity. 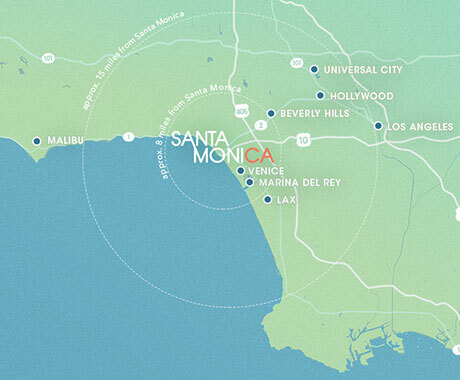 Also, the City of Santa Monica has a resources page worth checking out. Happy volunteering!